Ethiopia is green and lush and the children full of energy and curiosity. With a culture deeply rooted in a long history. Ethiopia wasn’t what I expected. 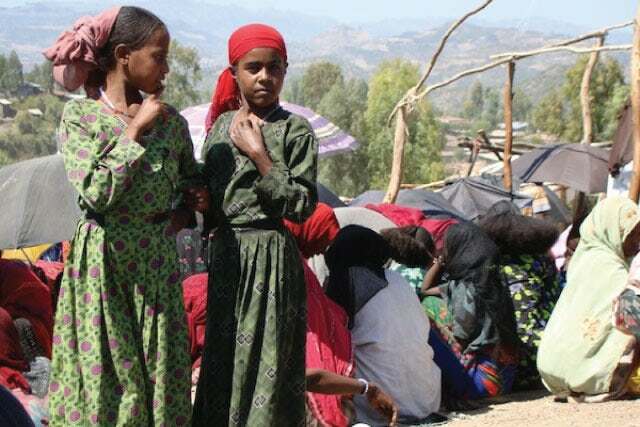 I had imagined vast arid landscapes and malnourished children with popped-out bellies based on what I’d ever seen in the news about this North African country. Let’s start from the beginning – possibly the beginning of mankind. At the National Museum of Ethiopia in Addis Ababa, we had a quick visit with “Lucy” who, at 3.5 million years old is the oldest hominid skeleton ever found. 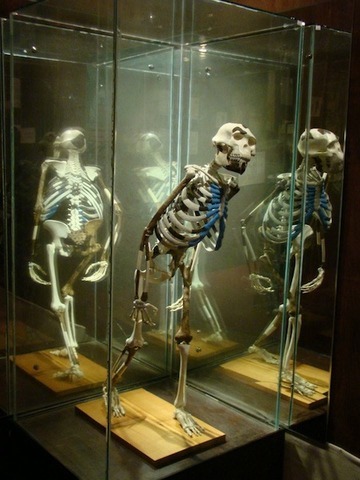 Seeing her frail bones really put into perspective that we were in one of the most ancient lands of humankind. 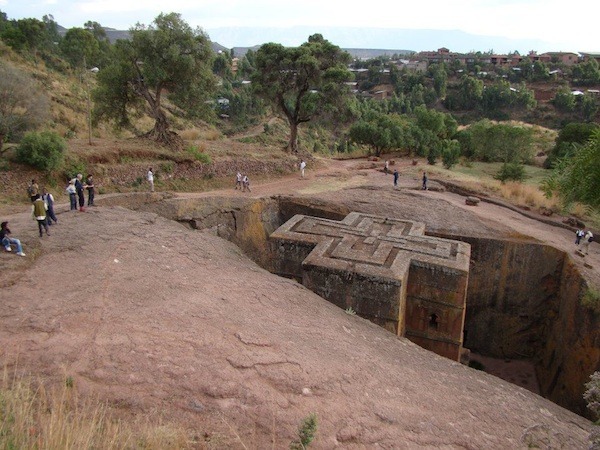 In the city of Lalibela we wandered along the narrow canyon-like pathways moving from one rock-hewn church to the next. There are 11 in total, dating back to the 12th and 13th centuries. Some are chiseled into the rock, which forms the walls or roof of the church. Others are completely carved out with all four walls standing apart from the rock. But each one invokes awe in the accomplishments of a society with tools much less advanced than what we have today. Traditional Ethiopian cuisine can be an acquired taste, though some take to it instantly. 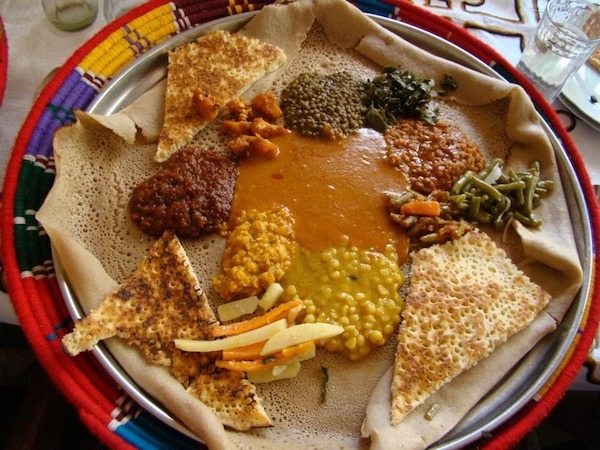 The most common meals you’ll find are a variety of meat or vegetarian stews served on injera, a soft, sour, almost pancake-like bread. Injera really is a love-it-or-hate-it culinary experience. One guidebook compared it to a damp dishcloth. But whatever your take on injera, the incredibly flavourful stews of curried beef, lentils, okra, or chickpeas are indisputably delicious. For those a little less bold in their appetites, it may come as a pleasant surprise that, as a result of the Italian occupation of Ethiopia during the Second World War, pasta options can be found on most menus. 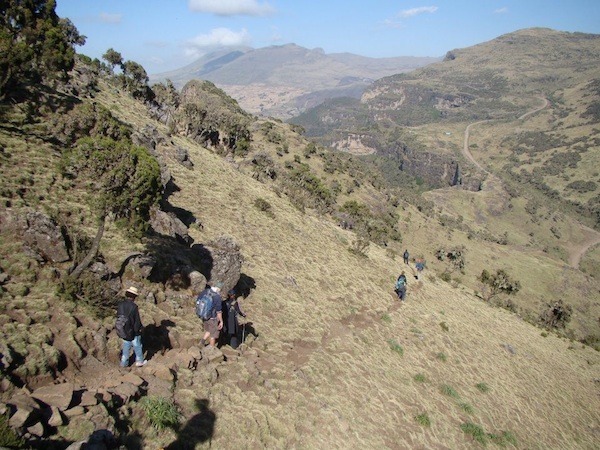 The Simien Mountain range in northern Ethiopia ­– a UNESCO World Heritage Site – is an incredible hiking venue. The mountains, of which the tallest peak is 4,550m (14,927 ft), provided us with spectacular vistas of green plateaus and waterfalls. The galada baboons, our charming hosts in the park, casually continued on with their grazing while we wandered among them just a few feet away. We also were fortunate to see the agile ibex, perched precariously on a cliff side, and we only heard, not saw, the elusive Ethiopian wolf. 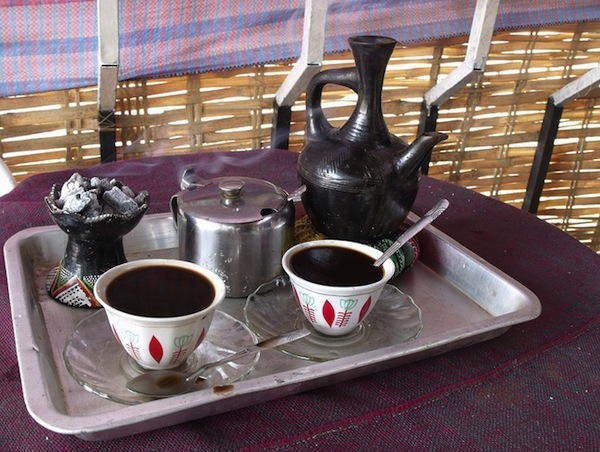 Ethiopian coffee is known for its quality the world over, and where better to have the freshest cup than in Ethiopia itself? I started all my days off right with a strong, robust cup, and often allowed myself the lovely afternoon treat of a rich and creamy cappuccino.